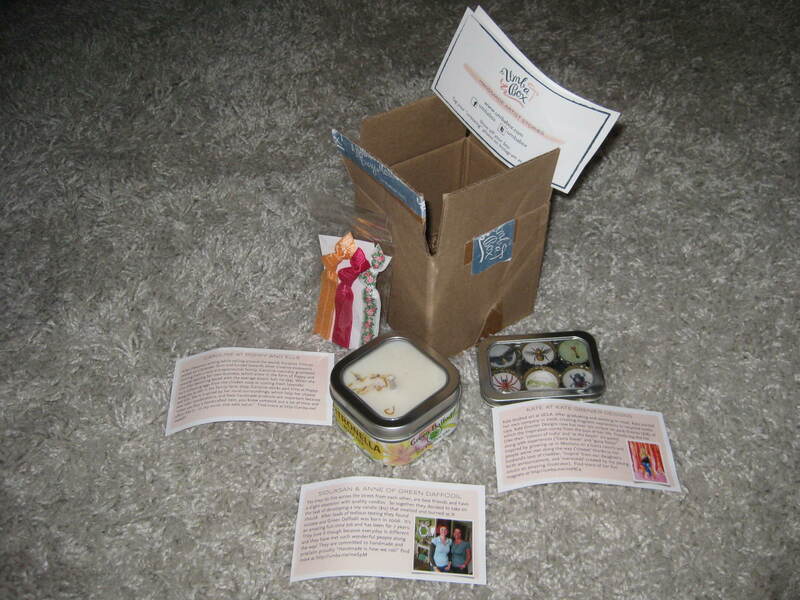 My July Umba Box is here!!! The size of this month's box was smaller than last month, but I was hoping great things would come in the small package! The picture below shows what I received. Here's a closer look at what I got. 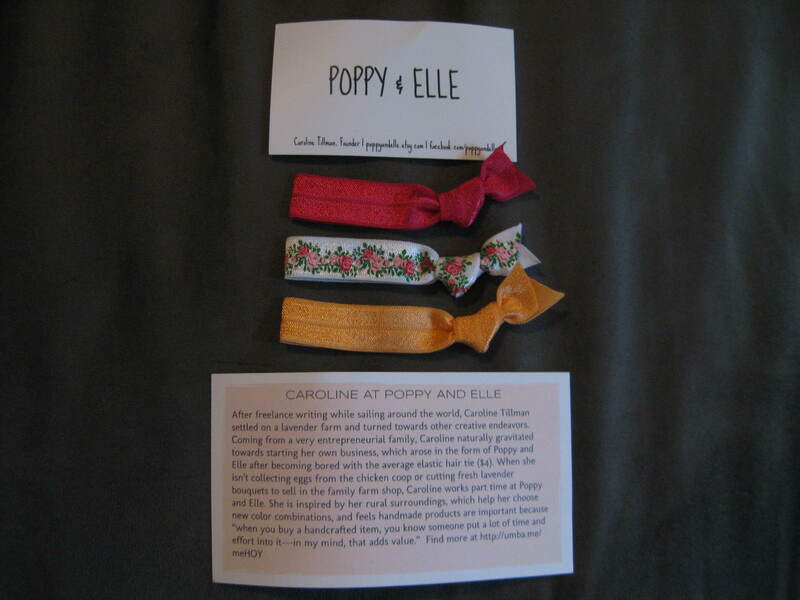 The first item was elastic hair ties from Poppy & Elle. 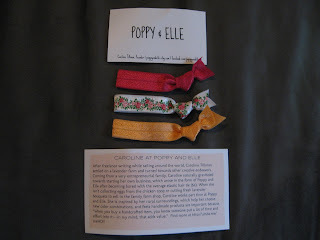 I liked the simple business card included in the packaging and the colors of the hair ties I received were perfect for me. Definitely colors I am currently wearing! I haven't tried these type of hair ties before, though I see them all over the place. I'm excited to try them! The next item I received was a 6 pack of insect magnets from Kate Grenier Designs. The packaging was a cute silver tin. The magnets are made from recycled bottle caps and are super cute! I'm a fan of fun magnets!!! Whose not? 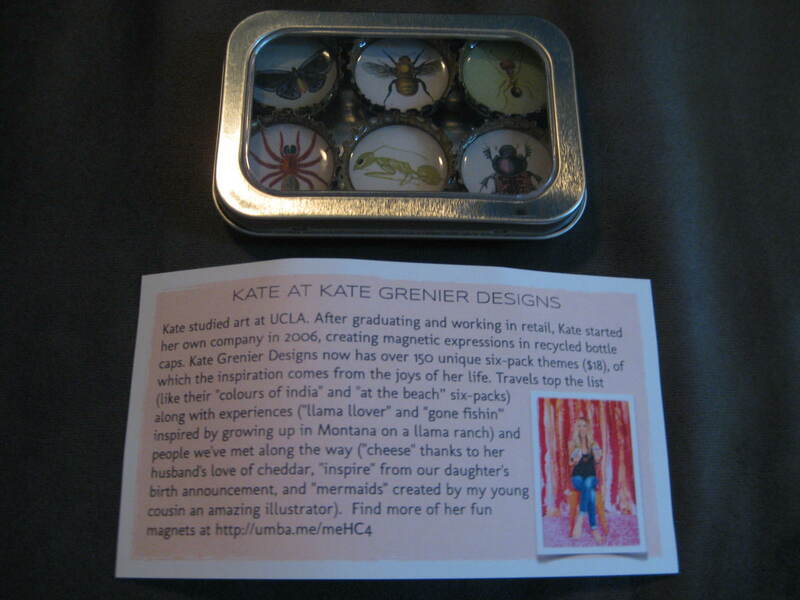 After reading the card about the artist I had to check out her site to see all the different 6 packs offered. There are so many great ones, but my favorites include "what's crackin?" (a seafood themed set) and "outdoors" (a camping themed set)!!! 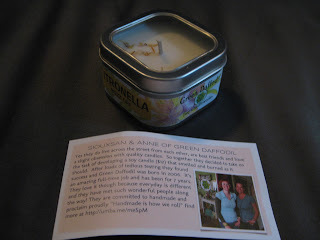 The last item included in the box was a Citronella Buzz Off Soy Candle from Green Daffodil. I was so happy to see this because it's been raining a lot lately where I live and the mosquitos are ridiculous lately. This will make it enjoyable to sit outside!!! The candle is 100% Pure Soybean Oil and Phthalate-Free. It smells like citronella, but with a sweetness of herbs. I'm super excited to try it! I was pleasantly surprised with how much fit in the small box I received! This box definitely made it feel like summer and I am looking forward to using everything. I'm happy with the July box and am looking forward to seeing the August box next month! Do you subscribe to Umba Box? What are your thoughts?? ?